I received a gift certificate for Chantecaille skincare product and ended up with the Lip Potion because I did not know what else to buy. 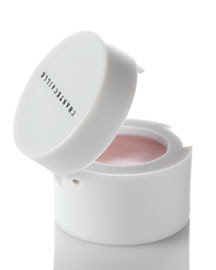 Chantecaille SA recommended this particular lip potion which contains ingredients such as lavender flower extract, macadamia, shea butter, and rose oil. After trying a dab on my lips, I exchanged my gift certificated and pay the rest of the balance. It really hydrated my lips. 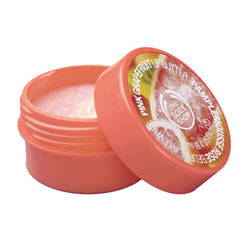 It feels oily initially but is quickly absorbed keeping my lips soft and supple and rose oil fragrance is just heavenly after each application. However I think there are other products out there that will do exactly the same without costing $40 for .16 oz. If I have to pay full retail price, I don't know if I might buy it again. I have tried these three lip balms from L'Occitane and Body Shop and they have worked wonder for me and only around $10. What a steal comparing to Chantecaille Lip Potion! 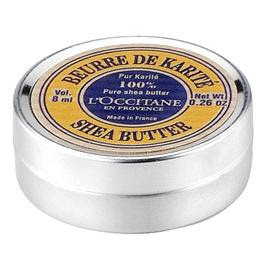 I have used this 100% Shea butter from L'Occitane for many years and liked how this product keeps my lips hydrated. It's also great to use on the plane when my hair becomes dry and unmanageable. I usually warm a dab up between my fingers and apply onto hair ends to keep them healthy looking, which also applies to nails as well. I like the flavor of pink grapefruit. Of course, ingredients such as Shea butter, Vitamin E and beeswax will hydrate and keeping a gal's kisser soft and supple. 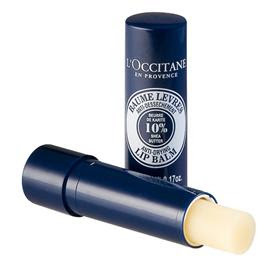 This lip balm stick from L'Occitane has similar ingredients such as Macadamia, and Shea butter as Chantecaille Lip Potion. I like Chantecaille for all the flower essences, but don't know if 4X price is 4X better.